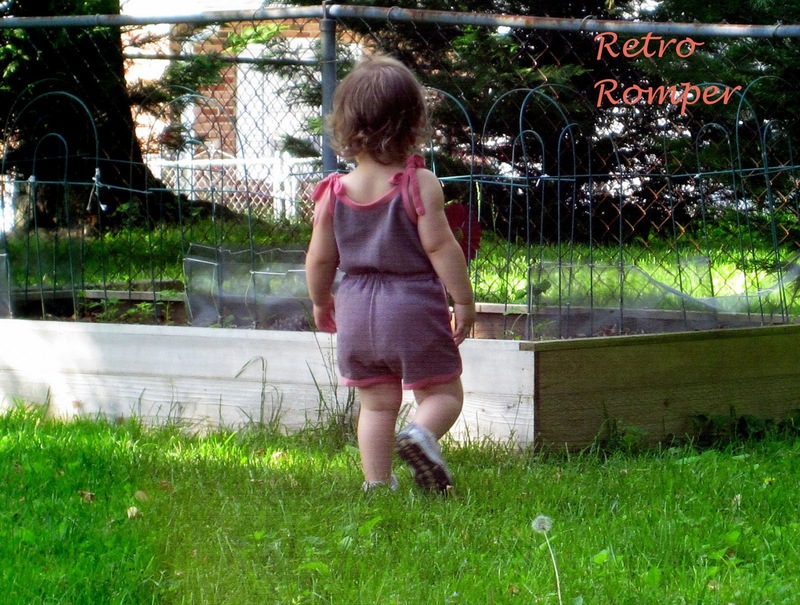 The second pattern I tested from Blank Slate Patterns’ Summer Vibe Collection is the Retro Romper (affiliate links). I was immediately sold. 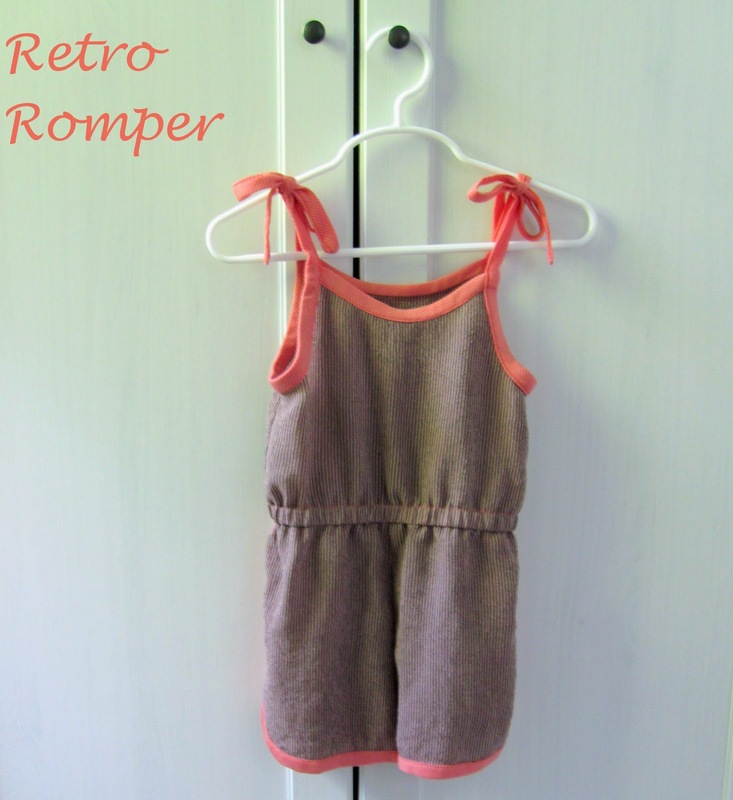 Didn’t every little girl in the 80’s wear one of these? And unlike other 80’s trends, this is one I’m happy to bring back. The pattern has an option for a skort bottom which I think would be really cute, but I decided to start with the shorts version since it’s a classic. As with most of Blank Slate Patterns, this one came together so easily. The longest part was making my own bias tape, but you could certainly purchase some and make the process extra fast. The main fabric is this striped lightweight fabric that has a tiny bit of stretch. I have no idea what it is made of, but I’ve been dying to pair it with a light peachy color and I’m so happy I did. The peach fabric is a lightweight (practically see-through) ribbed knit from JoAnn. I used a turquoise version in my first Doli Tank. I have other plans for this peachy-striped fabric combo so Bean will have a bit of it in her summer wardrobe. Speaking of summer, it typically gets oppressively hot and humid here within the next month so these airy fabrics should be just enough coverage for Bean to be comfortable. The pattern calls for woven or knit fabric so the options for cuteness abound. I kind of want to make one with contrasting fabric. Although I will probably make a terry one first since I love that retro feel. Love this romper! Great job! 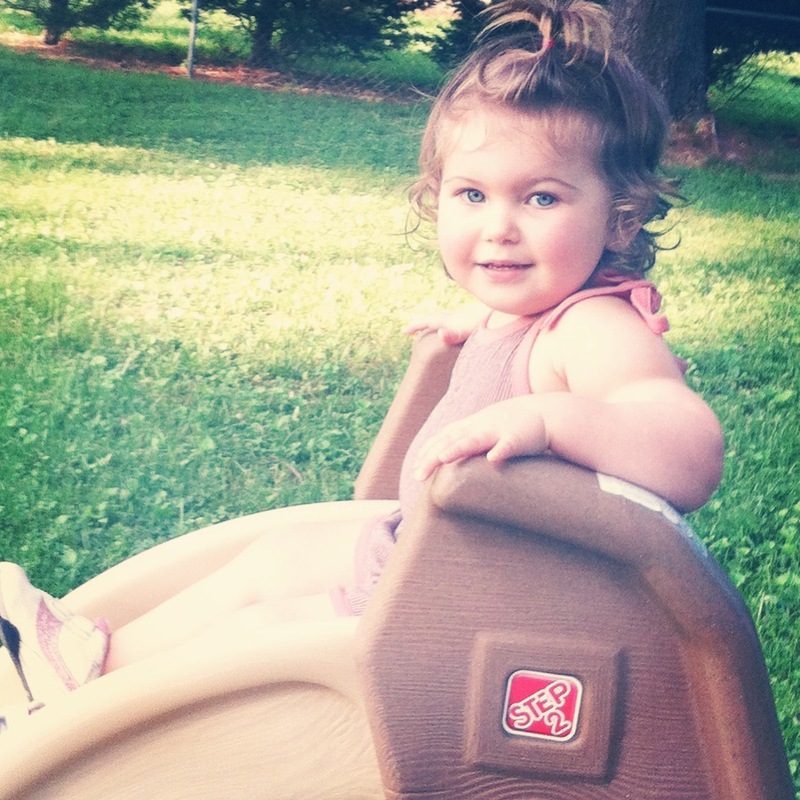 The romper is so sweet on your little girl! So adorable! Love the color combo! I love this romper! I love the way you sewed it up and have wanted it ever since I saw it as a blank slate pattern. I plan on making one for my 2 year old AND sizing it up for my 9 year old. Super cute! I'm loving all the rompers I've been seeing. Thanks for sharing! 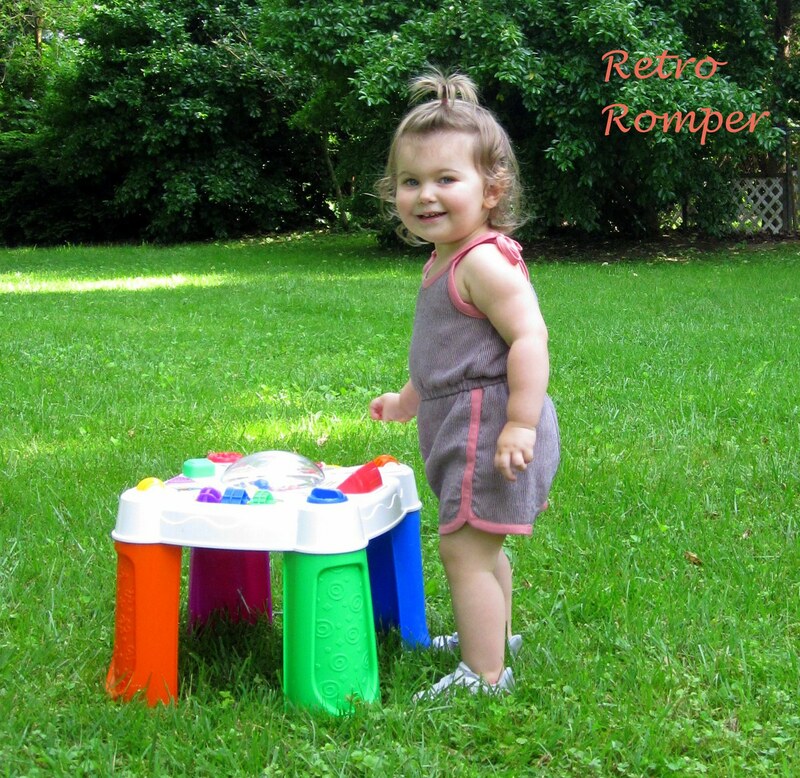 Cute romper!!! 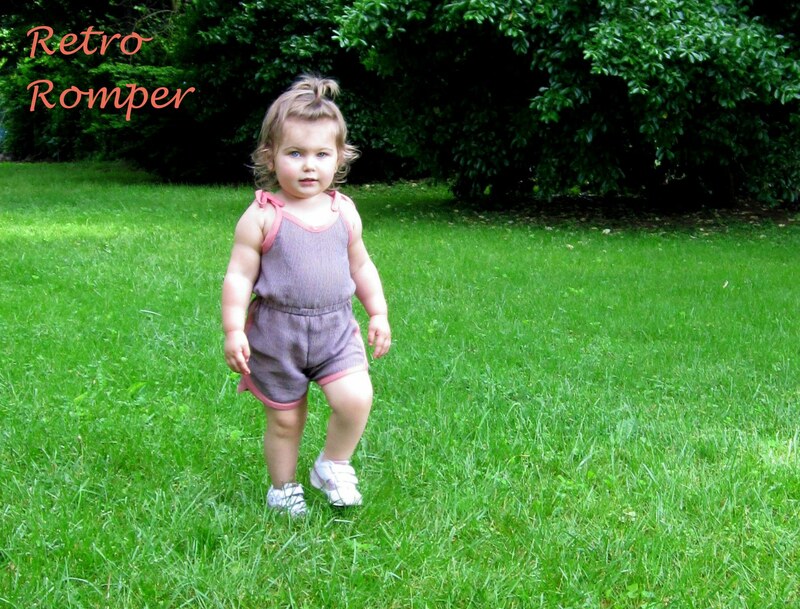 I love rompers, but they make diaper changing a pain! lol Thanks for sharing @ Submarine Sunday! Woohoo! Rachel sent me the link to bloglovin'- so now I'm following and won't miss a post! Such a sweet little outfit! I agree, this is one of the goodies from the 80's!